Fisker, the perennially-challenged but incredibly innovative hybrid car manufacturer, has filed for Chapter 11 bankruptcy protection. No, it technically hadn't before, despite suspending operations. And no, this might not be the end of the company. Maybe. Hopefully. You should remember that legally, Chapter 11 Bankruptcy allows a company to be reorganized, as opposed to a Chapter 7 Bankruptcy, which provides for a complete liquidation of the company's assets. Either way, Fisker itself hasn't made a car in a long time. The bankruptcy protection filing came as a result of the transaction which sees Richard Li, the man behind Hybrid Tech Holdings, buy the remains of the United States Department of Energy loan that was originally given to Fisker. In effect, American taxpayers lost around $139,000,000 on the company as Li is buying the remains of Fisker for about $25,000,000. Though we should be reminded that when you invest there's always a chance you could get hosed. And I'll probably go to my grave thinking the Fisker loan was worth the risk. 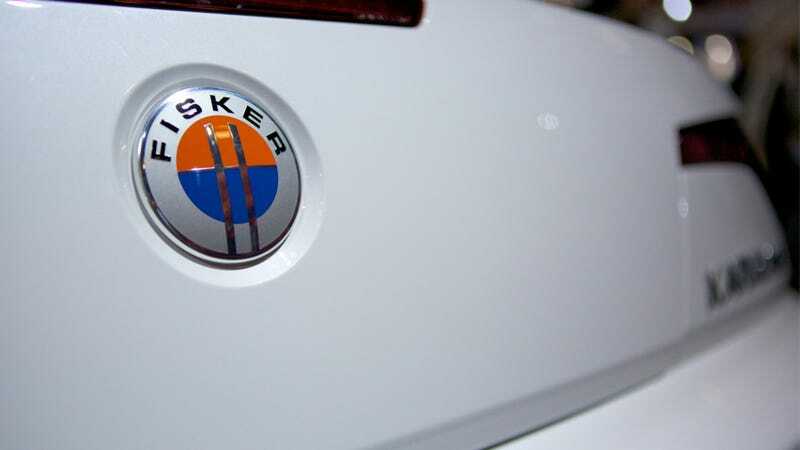 Truth be told, I was always a fan of Fisker, at least as a concept. I thought the cars looked great, and while there were plenty of technology issues, the series-hybrid idea they were based on was definitely creative for an automobile. It was the automotive revolution that never was. Maybe Fisker will restart, producing more Karmas than ever, though that's probably just wishful thinking. Maybe we'll soon be able to buy VL Destinos, AKA the Karma with the V8 engine dreamed up by former GM exec Bob Lutz. Who knows. But it's a damn shame. ANAHEIM HILLS, Calif., Nov. 22, 2013 /PRNewswire/ — Fisker Automotive, Inc. and Fisker Automotive Holdings, Inc. (collectively, Fisker Automotive) announced today that they have entered into an asset purchase agreement with Hybrid Tech Holdings, LLC (Hybrid) for the sale of substantially all of its assets. Hybrid is the lender under an approximately $170 million loan secured by first liens on substantially all of Fisker Automotive's assets. Hybrid's parent, Hybrid Technology, LLC (Hybrid Technology), purchased the loan from the U.S. Department of Energy (DoE) after DoE conducted a robust marketing process and auction. To facilitate the sale process and provide for orderly distributions to creditors, Fisker Automotive has voluntarily filed petitions under Chapter 11 of the U.S. Bankruptcy Code. Hybrid Technology has committed up to approximately $8 million in debtor-in-possession (DIP) financing to fund the sale and Chapter 11 process. "After having evaluated and pursued all other alternatives, we believe the sale to Hybrid and the related Chapter 11 process is the best alternative for maximizing Fisker Automotive's value for the benefit of all stakeholders," said Marc Beilinson, Fisker Automotive's Chief Restructuring Officer. "We believe that the Fisker Automotive technology and product development capability will remain a guiding force in the evolution of the automotive industry under Hybrid's leadership."